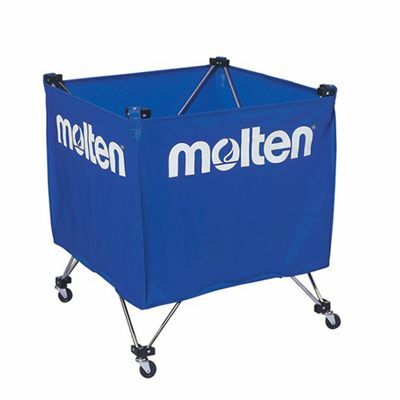 The Molten portable ball trolley is ideal for storing the basketballs and moving them around when needed for games or training. The trolley’s frame incorporates heavy duty steel chromium rods with castor while the outer cover is made from strong reinforced nylon. It is easy to roll and folds flat for storage. The trolley is suitable for any inflatable balls and fits up to 24 size 7 basketballs. for submitting product information about Molten Portable Ball Trolley We aim to answer all questions within 2-3 days. for submitting product information about Molten Portable Ball Trolley. We aim to answer all questions within 2-3 days. If you provided your name and email address, we will email you as soon as the answer is published. for submitting product review about Molten Portable Ball Trolley.